There are few stories that begin 1.6 billion years ago and fewer that carry with them the epic tale of the journey of Argyle pink diamonds. For more than three decades, the Argyle diamond mine has mesmerised the world with a kaleidoscope of alluring and potent colours, the most exceptional of which is showcased annually in the Argyle Pink Diamonds Signature Tender. As the most exclusive diamond showcase in the world, meet the enthralling collection of 63 stones, which includes the largest Vivid Pink diamond in the history of the Tender. The 3.14 carat polished emerald cut diamond is known as The Argyle Alpha™. At the pinnacle of every Tender collection are the hero diamonds, the rarest of the rare that are unparalleled in colour, carat size and beauty or a combination of each of these characteristics. 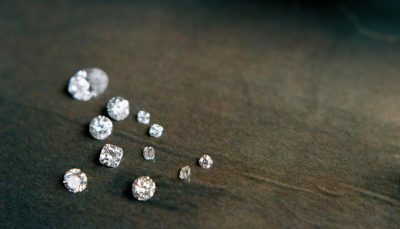 In 2018, there are six diamonds selected for their unique beauty and named to ensure there is a permanent record of their contribution to the history of the world’s most important diamonds. Rohan Jewellery was there for the showcase of The Collection at the 34th annual Argyle Pink Diamonds Tender in Hong Kong earlier this month where displays of some of the rarest fancy coloured diamonds born from Western Australia’s Argyle Diamond Mine, totalling 51.48 carats were on display. Contact us to learn more about the rarity and beauty of Argyle diamonds.